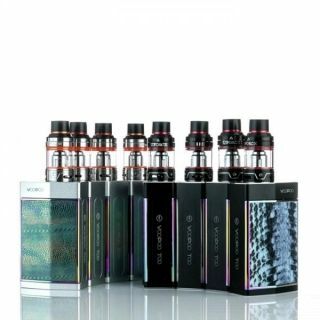 If you’re looking for just the right amount of power and quality when purchasing a vape mod, then the VaporFi VEX 150 TC Starter Kit definitely deserves your full attention. 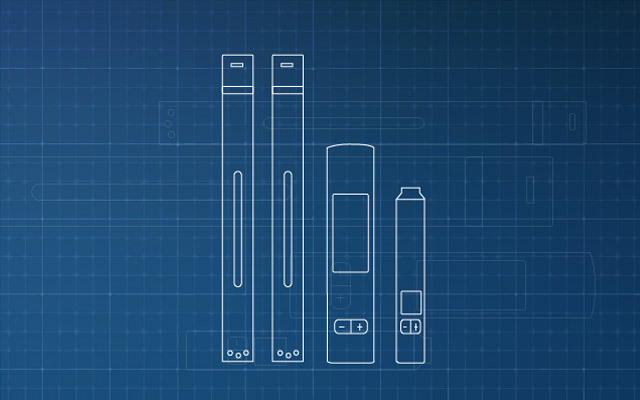 This high end personal vaporizer is one of the newest releases from Vaporfi and it’s built with the same attention to detail and durable materials as its predecessors. 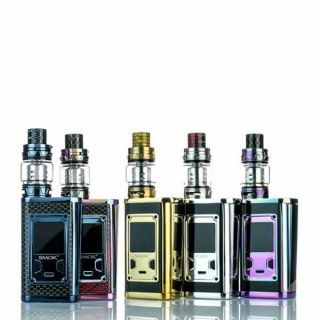 Crafted from Zinc alloy and with a brushed metallic finish, the mod is available in two different colors and it’s powered by two removable high drain 18650 batteries. 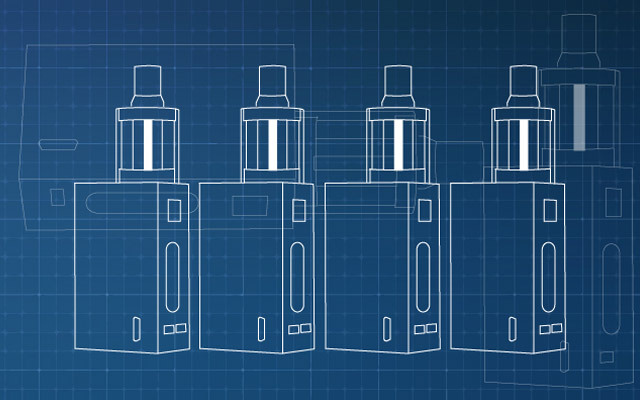 Measuring only 82mm x 57mm x 22mm, the VaporFi VEX 150 TC is pretty compact for a dual 18650 mod but it does have a reasonable amount of weight to it just to make it feel great in the hand. We particularly love the position and size of the fire button as it makes it so easy to access and to use all day long. It feels pretty solid and well-built and it comes with multiple safety features (over charge, over current, over discharge and short circuit protections). 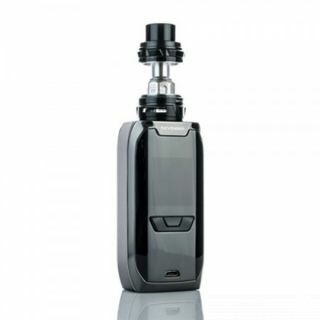 On the top side of the VaporFi VEX 150 TC we have a nice spring loaded 510 connector and going down the main side we have the rectangular fire button, a beautiful 0.96″ OLED display, and the two small adjustment buttons. 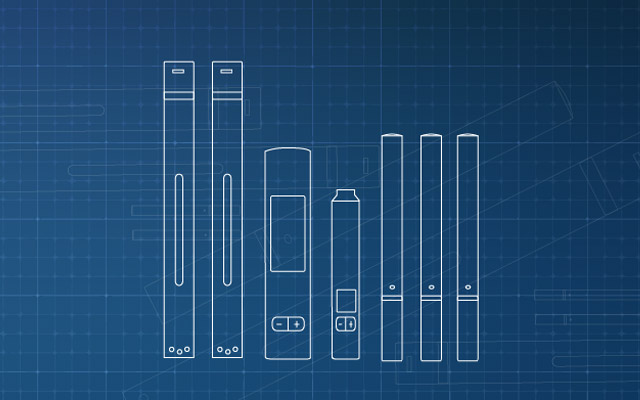 The micro-USB slot is located on the face of the mod and the hinged battery door at the base. I really enjoy how Vaporfi have designed this door, making it super easy to mount your two high drain 18650 batteries (included in the bundle deal). 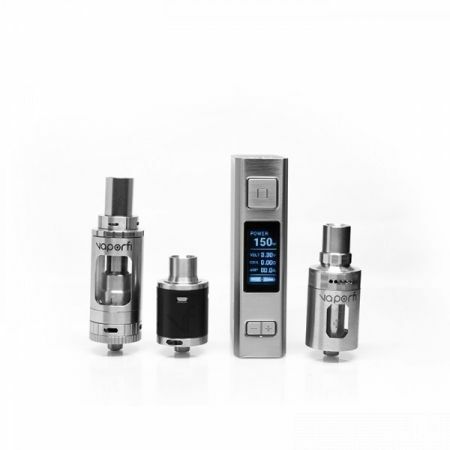 The mod can go from 1W all the way up to 150W in variable wattage mode and it can fire down to 0.1 Ohms. 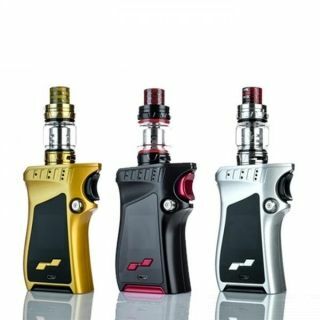 It also has a Bypass mode where it delivers the power just like an unregulated mod and last but not least – temperature control with a TCR function. Most of the best box mods have this TCR function. 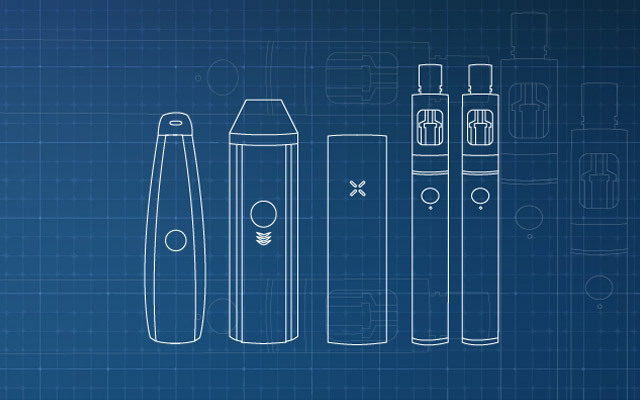 Besides the VaporFi VEX 150 TC mod and the two 18650 batteries you also get a silicone case for the device (to prevent scratches and mechanical shocks), a micro-USB cable (though I would suggest using an external charger for the batteries), a 30ml bottle of custom made Vaporfi e-liquid (you get to mix up to three different flavors in different concentrations), as well as your choice of atomizer (from three available). 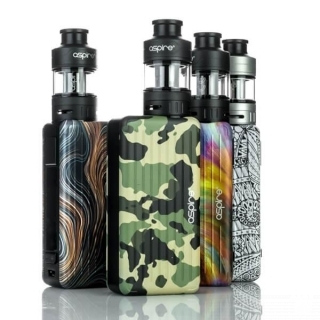 You can get the VaporFi VEX 150 TC mod with the Viper tank, a 4ml cloud chucking monster that also works in temperature control mode and delivers great flavor with both the 0.2 Ohm and the 0.5 Ohm coils. There’s also the Vibe tank, a much more versatile 3.5ml alternative that supports both mouth to lung and direct lung vaping (however I did get some spit back from these coils). Last but not least you can totally take advantage of the mod’s power with the brand new Venom RDA. Not only does this bad boy change color once you reach a certain wattage but it’s built to deliver incredible flavor and spectacular clouds.